I’ve followed my standard rules and tried not to spoil any major second and third act narrative beats in this review. Any plot/character details I do mention are simply set-up. That being said, if you’re anything like me and like to enter the movie theatre with as clear a mind as possible, then I would wait until you’ve seen the film to read this (or any other) review. And, be warned, this is a long one . . . I love getting excited for movies. And I can say, without a shadow of a doubt, that I have never been more excited for a movie than I was for Star Wars: The Force Awakens. As far as I can remember, my Star Wars experience began in 1999 with Episode 1. That film captured my four-year-old imagination like you wouldn’t believe and led me to the discovery of the original trilogy via a friend’s VHS boxset. Then along comes 2002 and my most memorable theatrical Star Wars experience; Attack of the Clones. Come 2005 and my parents deem 10 year-old me too young for the 12A/PG-13-rated The Revenge of the Sith. A decision that I vehemently disagreed with at the time, but that in hindsight seems to be a solid parental call. Ten and a half years later and I finally get to look upon a new Star Wars movie with adult eyes . . .
And the results are delightful. 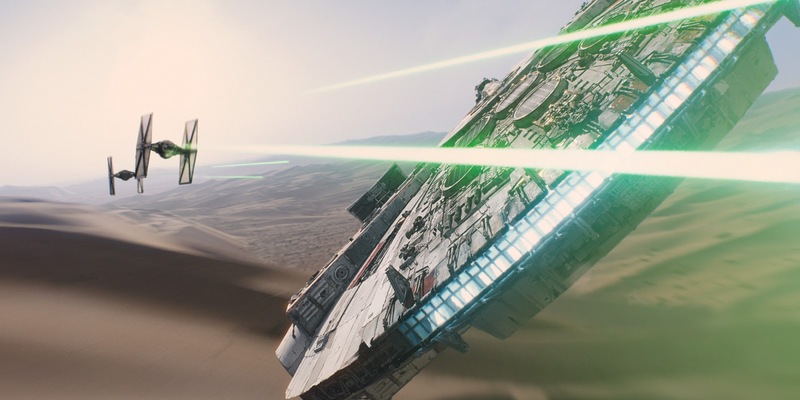 Star Wars: The Force Awakens is great. J.J. Abrams (director, co-writer and perfect pick for the job) has delivered another rock solid franchise building block to add to his supreme work on Star Trek. The magic is back, people! Let’s start with the good stuff. The new cast members are really strong. Oscar Isaac is gloriously at-ease as ‘the best frickin’ pilot in the galaxy’, Poe Dameron, and he certainly lives up to the self-professed (Isaac, not Poe) title in a glorious ground-level swirling long take as he dispatches enemy Stormtroopers with deadly accuracy. Isaac’s experience is a more than welcome counterweight to the fresh-faced, and more emotionally vulnerable, lead pair. John Boyega was cast as rogue Stormtrooper Finn on the back of his success in Joe Cornish’s Attack the Block and he brings some of that film’s comedic spirit to The Force Awakens. Finn starts out as a battle-scarred soldier who finds himself morally conflicted by the actions of his First Order peers (the oppressive regime to follow the original trilogy’s Empire). But, this uncertainty soon makes way for a far jokier wannabe hero. Finn is a character who finds himself lying to cover his back, and that aspect is a welcome addition to the graver character traits found elsewhere in the series. That being said, his faux-cockiness, while used effectively, does grow somewhat tiresome before the second act really gets under way. This is the film’s weakest section as too many so-called ‘refusals of the call’ unnaturally elongate the film’s first act. You may well get to the point where you just want them to get on with saving the galaxy. The third member of the new trinity is Daisy Ridley’s Rey and I’m delighted to say she is absolutely the star of the show. Rey is the down and out scavenger who finds herself dragged into this great clash between the dark side and the light, only to finds her personal significance to this eternal struggle is far greater than anyone could have imagined. That’s not to say that Rey starts out as anything resembling a weak character. She is strong, powerful and fiercely determined from the word go, which takes Finn by surprise on a number of memorable occasions. So, to see her grow from there is a delight and the empowering crescendo of her (and quite possibly the entire film’s) ‘epic’ moment is jaw-droppingly awesome and fully earned by Ridley’s terrific performance and the writing for her character. The film also benefits from a brilliantly written villain. Kylo Ren is an inspired creation and he acts as a wonderful transitionary character from the Dark Side of the Empire to its resurgence with the First Order. The character is given a real sense of dramatic weight, which is delivered upon brilliantly as he moves ever closer towards our heroes. His motives are complex and challenging, and Adam Driver is a pitch-perfect casting choice. He is aged down and Driver’s performance often regresses to echo the behaviour of an angsty teenager. It may sound annoying, but it works brilliantly in context and is a really interesting left-field choice for what could simply have been a cut-and-paste bad guy figure. Which brings us to Abrams, Lawrence Kasdan (co-writing his third Star Wars movie, after The Empire Strikes Back and Return of the Jedi) and Michael Arndt’s (co-writer) masterfully fine-tuned screenplay, which hits all the (somewhat expected) dramatic beats with aplomb and brilliantly sets the tone for the movie’s to come. They introduce the new leads with such confidence and by aging Finn, Rey and Kylo Ren down somewhat they provide those characters with so much room for dramatic and emotional growth. By establishing such great new characters, the film can then reap the true rewards of the returning cast members. Each original character has their own big return moment (many greeted with cheers from my midnight screening audience), but it’s not long before they’re back in business. It’s ‘fan service’, that much I cannot deny, but it feels deserved, narratively driven and far from exploitative. Han Solo has the most to do, as he and Chewie act as the link between Finn and Rey and the Resistance. Harrison Ford seems reinvigorated and his latter life curmudgeonliness makes way for the return of that crooked smile. Not a great deal has changed for Han, and the writers juxtapose that tragically with the progression of Princess Leia. She leads the Resistance as General Organa, and her manner has changed with her name. As has her role; in keeping with Abrams’ move towards a more representative gender balance in the Star Wars universe, Leia takes on an intelligently written maternal role and Carrie Fisher responds to it beautifully. Also deceptively well written is the relationship between Han and Leia. Ford and Fisher are truly touching in these scenes and the return of John Williams’ most beautiful theme, Han Solo and the Princess, certainly doesn’t hurt. The gender scales are further righted by the introduction of Maz, a diminutive landlady performed in glorious motion capture by Lupita Nyong’o. She is an inspired creation on both a technical and character level and is an absolute tonne of fun to watch. There has also been an increase in the number of female side characters, assuming roles that would likely have been performed by men in the previous films. These little touches are greatly appreciated and set up a forward-thinking blueprint for the series from here on out. You may have noticed I haven’t yet mentioned Captain Phasma, Gwendoline Christie’s chrome Stormtrooper. Much was made of the fact that she was the first female Star Wars villain however, much like Boba Fett, the awesome costume design seems to cover up the fact that she barely does anything. It’s a real shame and I’m just hoping they have some grand plan for the character moving forwards, because she deserves so much more than she’s given to do here. One of the other disappointments is John Williams’ score. Now, of course this may benefit from a rewatch and listening to the isolated score, but on a first watch there was nothing that hit me in the same way the aforementioned Han/Leia theme does in The Empire Strikes Back or The Force Theme or The Imperial March or even The Phantom Menace’s barnstorming Duel of the Fates. There were glimpses of sonic treasures (Rey’s Theme being one of the standouts), but nothing took my breath away first time out. The only riffs I walked out humming were the classics. This is exacerbated by the fact that the film’s trailers featured some of the most incredible Star Wars music I’ve ever heard. John Samuel Hanson and Frederick Lloyd’s work on the film’s third trailer was particularly breathtaking and was the source of the many of the chills triggered by that final preview.But here’s to another listen . . .
Lloyd’s reworkings of John Williams’ original themes. I think that’s the crux of my feelings after a first viewing. But, if anything new really stands out after a rewatch I’ll be sure to let you know. All things considered, Star Wars: The Force Awakens suffers from a few minor missteps (particularly in the extended transition between the first and second acts). But, overall, it marks a grand return to form and a brilliant set-up for everything to come! Bring on Rian Johnson’s Episode VIII because, with this film to build upon, that could be something really rather special . 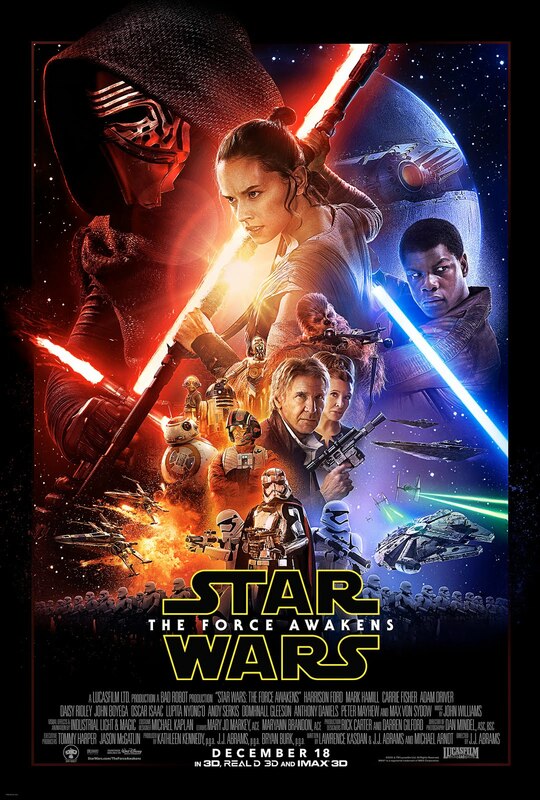 . .
Star Wars: The Force Awakens is out now on DVD/VOD.